Coquitlam, BC, Canada and Port Coquitlam, BC, Canada are urban communities comprised of residential neighborhoods, a commercial district and an industrial area. The Coquitlams, together with Port Moody, combine together to form the Tri- Cities area of Metro Vancouver (Greater Vancouver Regional District). Coquitlam is situated at the confluence of the Coquitlam River and the Fraser River. The Metro Vancouver region follows the banks of the Pitt River before connecting with Coquitlam and Pitt Lakes. The north end of the Tri-Cities is surrounded by Burke Mountain, Eagle Ridge and Coquitlam Mountain. Top attractions, adventures and activities most enjoyed in and around Coquitlam, BC, Canada and the surrounding areas are hiking, golfing, swimming, cricket, climbing, sightseeing, shopping, birdwatching, picnicking, cycling and biking. Coquitlam enjoys over 80+ parks covering over 890+ hectares (2200+ acres). Some of the more popular adventure destinations include Town Centre Park, Como Lake, Eagle Mountain Park, Mundy Park, Minnekhada Regional Park, Mackin Park, Blue Mountain Park and Pinecone Burke Provincial Park. What are the Accommodations, Services and Amenities in Coquitlam, BC? Coquitlam places to stay, services and amenities important to travelers include accommodations (resorts, hotels, motels, inns, bed and breakfasts (B&Bs), vacation homes, cottages, cabins, lodges, hostels), campgrounds, tours, guides, outfitters, attractions, big box stores, nightclubs, casino, restaurants, laundromat, coffee shops,spas, grocery stores, pubs, liquor store, banks, gas station, gift stores, and internet service. There are sightseeing attractions, historical sites, entertainment venues, and cultural events in and around Coquitlam, British Columbia. Some of the top museums, art, entertainment, and cultural venues to visit includes the Evergreen Cultural Centre, Inspiration Garden, Place des Arts, and the 1905, #9 Canadian Pacific Railway Station Museum. 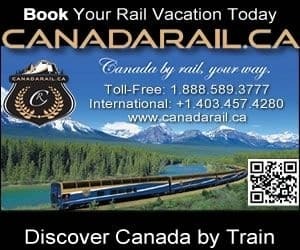 How Do I Get To Coquitlam British Columbia? Transportation services getting to and from Coquitlam, British Columbia include the main highway of course (Hwy #7), and then there is taxi, bus, car rental, marina, rail, and the (YVR) Vancouver International Airport (42 minute drive - 37 kms) and the BC Ferries Tsawwassen Terminal (44 minute drive - 50 kms) and Horseshoe Bay Terminal (41 minute drive - 46 kms). eh! Plan to Visit Coquitlam, BC today.